When you listen to the magnetic vocals of Kaylee Harrison combined with the stirring guitar of older brother Glen Harrison, it’s clear that music has always been in their blood. Kaylee says, “Singing has always been something that has come natural to me. Since I can remember I have always sung, it’s something that is engrained and a part of who I am. We grew up with parents who loved to listen to music and I remember singing along to the American Country Countdown on road trips. It was the late 90’s and artists such as Shania Twain, Faith Hill, Martina McBride and the Dixie Chicks inspired me. I immersed myself by mimicking these artists, which definitely played a part in developing my singing style”. Glenn adds, “I had an early Keith Urban album at home I would always play but when I was 14 I went to an Eagles concert and that was a big turning point for me. I attempted to learn all of their songs and solos. Joe Walsh and Don Felder are legends…I particularly studied how Felder played and tried to play like him. I remember entering a talent show and I played a Keith song on guitar and managed to win the section and received my first paycheck! With second album and Dog Whistle Music debut IN OUR BLOOD this brother sister duo exhibit strong growth as artists showing stronger musicianship and confidence with songwriting and vocals. Produced by Australian contemporary country ace Andrew Cochrane, IN OUR BLOOD shows much more maturity and diversity. Glen Says, “I felt this time around we had a lot more creative space to explore and really spent the time with Andrew to make sure we were getting the most suitable guitar tones and vocal melodies for each song. Building them up layer by layer from essentially a drum and a bass track, it was cool to have the time to do that and really get it right. Andrew always pushes us hard for the very best whether it be vocals, harmonies or guitar but it’s still very fun and relaxed”. Kaylee agrees. “This time around in the studio, we felt a lot more comfortable and relaxed. We really enjoyed working with Andrew the first time around so this time it was even easier. We know how each other works and it was such a buzz. Our sound has definitely developed and evolved since the first album and we all worked together to really highlight that”. For producer Andrew Cochrane it’s the last album recording in his current studio before he moves into his new digs in the New Year. “It was such an incredible pleasure to work again with Kaylens Rain. I was blown away the first time I worked with them. But it’s so fantastic to see how they have developed their sound even further. Glen and Kaylee have gone from strength to strength and it shows on this album. Musically and vocally these guys are the real deal and make my job as producer so easy.” Says Cochrane. IN OUR BLOOD saw the Harrisons writing with Drew McAlister, Morgan Evans, Jared Porter, Kaylee Bell plus Jay Sommerville Collie and Jay Collie. “We really enjoyed the writing process for this album especially writing with our fellow artists and friends. We had a lot of laughs and fun writing with these guys” Said Kaylee. In July 2012 the second single and very personal “Outta Here” was released and again radio and TV jumped aboard. “Kaylens Rain is the most exciting young act in Australian Country Music. Their first single “Is That All There Is” set a benchmark for contemporary country here on every level, and their new single proves it was no fluke. There’s no reason at all Kaylens Rain can’t cut it on the world stage, sign me up for the cheer squad. Can’t wait for the album.” Said Garry Hoffman, Program Director Magic FM Melbourne. As the “Outta Here” single hit its peak the debut album Found was released in October 2012 and peaked Top 10 on the ARIA Country Chart with poprepublic.tv featuring Kaylens Rain in the Best Things You’ve Never Heard”. As the noise grew KR were swiftly booked to open for The McClymonts followed by gigs in 2013 on the Deni Ute Muster, CMC Rocks and the Gympie Muster. 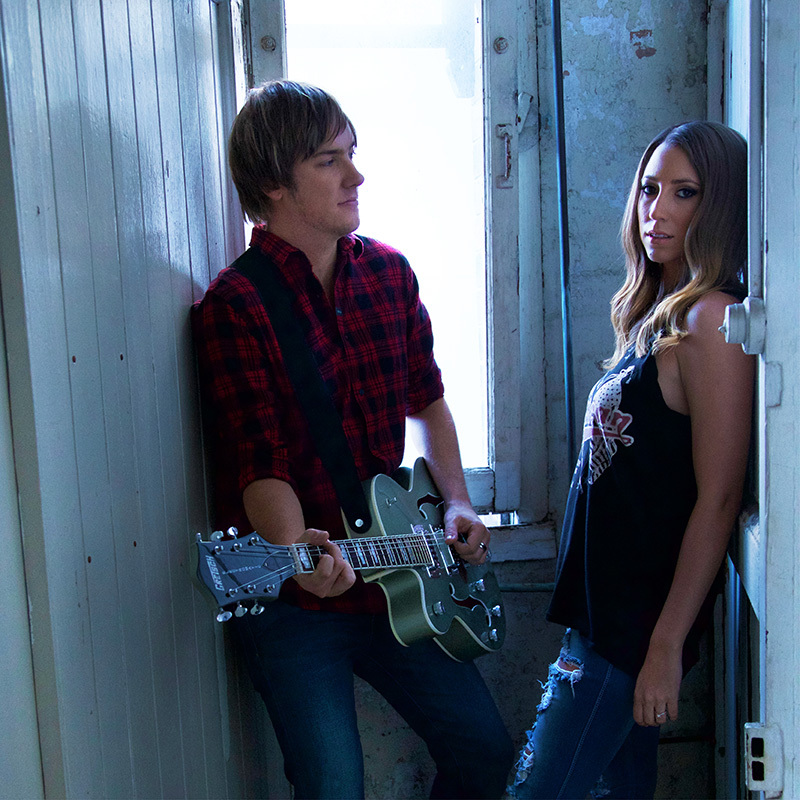 In 2014 Kaylee and Glen kicked off the year performing the hit ‘Outta Here’ on the Golden Guitars Awards at the Tamworth Country Music Festival where they were nominated for two awards including New ‘Talent Of The Year’ and ‘Best Group or Duo’. 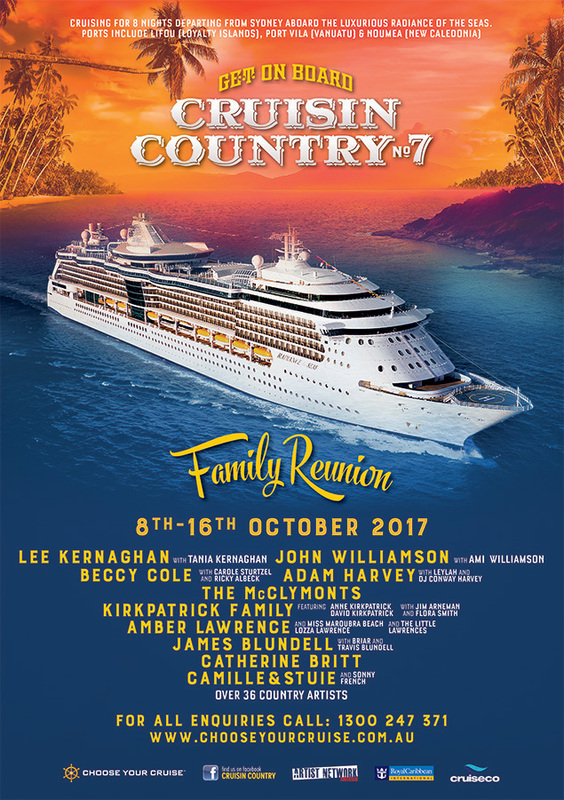 In March they again performed at CMC Rocks followed by a trip to Nashville to perform on the Global Artist Showcase at CMA Fest. This opportunity came about via a scholarship provided by Commercial Radio Australia. While in Nashville, Kaylens Rain began work on the follow up album to Found – IN OUR BLOOD. In early 2015 Kaylens Rain signed a recording and publishing agreement with Dog Whistle Music before finishing off writing and finding songs for the album before jumping in to the studio in July. IN OUR BLOOD demonstrates that Kaylens Rain have a strong appreciation and grasp of what they want without setting boundaries. IN OUR BLOOD is not only the sibling aspect but music has always been a part of their family life and for Glen and Kaylee Harrison it’s a bond they will always share as artists and brother and sister.